Pomerol is one of the smallest appellations in Bordeaux and the only major one that does not have a classification system. This has given the wines of Pomerol a certain liberty, and today it is the price that the international wine trade is prepared to pay that creates the hierarchy in Pomerol. Three wines lead the listing: Lafleur, Pétrus and Le Pin with wines such as La Conseillante, L’Eglise Clinet, Trotanoy and Vieux Chateau Certan following closely behind. The three leading wines are located on the limestone plateau of Pomerol, close to one another. This small plateau is home to the best wines and forms the epicenter of this 800-hectare appellation. Only three kilometers wide by four kilometers wide, there are about 150 different Pomerol chateaux but around 50 of them have less than one hectare of vines. 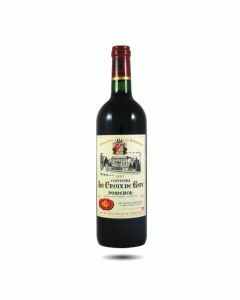 There are a couple of exceptions, Chateau de Sales, one of the oldest and most beautiful estates with a real “chateau” has 47.5 hectares of vines and both Pétrus and Vieux Chateau Certan have over 12 hectares. Pomerol remains however a peasant appellation with small houses and cellars and a confusing network of country lanes in which to get lost. It is not the most beautiful corner of Bordeaux, in spite of the worldwide fame of its wines. There is a little village of Catusseau with a decent restaurant, Michel Rolland’s wine laboratory and wine shop and a tobacconist; and the Wine Syndicate, Church and Primary School on the center of the plateau. After its makeover, Pétrus is easier to spot these days but if you do not have inside information, you could spend some frustrating time trying to find Lafleur, L’Eglise Clinet or Le Pin. Pomerol developed much later than St. Emilion, with the first planted vines dating back to the 18th century. It was on the pilgrimage route to Santiago de Compostella as evidenced by the Scallop shell of St. James found on several markers and the region’s wine guild, the Hospitaliers of Pomerol. Thanks to its proximity to the major town of Libourne, Pomerol wines were shipped all over Europe (they are still particularly popular in Belgium) but did not gain the cachet that they hold today until after the Second World War. The soils of Pomerol are on a bedrock of limestone with sand and gravel top soils. To the north and the west of the appellations, the vineyards are planted on alluvial soils, sand and gravel. Only Pétrus has the anomaly of a basin of blue clay that is unique to the domain. The main grape variety is Merlot (Pétrus and Le Pin are made only from Merlot grapes) with Cabernet Franc as the second most important grape. Cabernet Franc plays an important role in the wines of Lafleur and Vieux Chateau Certan especially. The wines of Pomerol are prized for their rich fruit flavours, round structure, soft tannins, flavours of chocolate and coffee and their ability to age well. They pair well with game, pork, Ahi tuna, cep mushrooms and of course truffles. This small property located on the famous plateau of Pomerol next to the church was bought in 1953 by Ets. Jean-Pierre MOUEIX. Its 20 year-old vines grow on a heavy clay soil on which the predominant Merlot grape shows its full character. 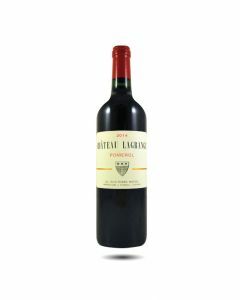 Round, fruity and flattering in 2014 which is typical of Pomerol and can be enjoyed after 3 to 5 years of cellaring. Always a success from the Moueix stable, this wine starts with a dark plummy colour and is fresh and light on the attack with aromas of black fruit, truffles, woodsmoke and herbs. On the palate the wine is well composed and structured in a very classic style with pretty fruit flavours leading to an elegant finish. Made from 100% Merlot grapes on gravelly soils, this wine is soft and approachable on the nose with fresh, spicy aromas. Cherries and raspberries on the palate. Lovely roundness. Bright, attractive, good spice and red fruit aromas in the nose. Silky and smooth with lovely roundness. Very pretty with good length. Produced half of usual crop because of the frost . The wine has a pretty purple colour, attractive scented red fruit, is sweet and spicy on the attack, silky and easy drinking with smooth tannins in the finish. Made from 100% Merlo grapes grown in deep gravel and clay for 2/3 and Clay and Loam for 1/3 of the 8 hectares. Dark purple colour; fresh, juicy cherry aromas, decent attack and then quite structured with round, generous tannins.